A few weeks ago one of my sweet friends from high school emailed me about the possibility of hosting a Stella & Dot trunk show. Brooke is a Stella & Dot stylist and has decided to do several "non-profit" shows this year where she generously gives all of her proceeds to causes that she cares about. Even though I haven't seen Brooke in years, thanks to Facebook and this blog, we've been able to keep in touch and she has kept up to date with the kids' health issues. Kate's story is the reason many of our friends and family have heard about, and invested themselves into Be the Match. Brooke is one of those friends that was touched by Kate and Will's story and wants to give back to the organization that is saving my kids' lives! I am constantly blown away by the support we receive and generous people like Brooke, who are so willing to help save lives, mean the world to Alex and I! The fact that our children have inspired people to join, support, and spread awareness for Be The Match, and the national bone marrow donor registry brings tears to my eyes! Stella & Dot is a boutique style accessories company sold at in-home and online trunk shows. 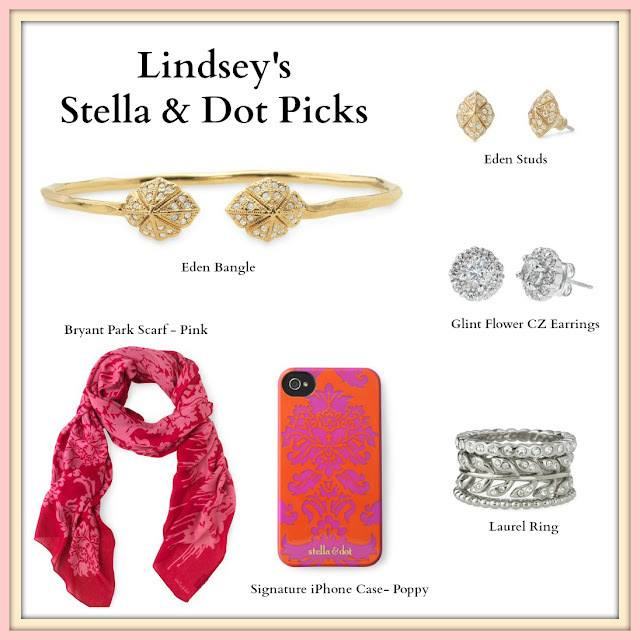 The jewelry has been seen in Lucky Magazine, InStyle and on countless celebrities. Designed in New York and San Francisco, the pieces are so irresistible and affordable, you’ll be certain to find a little something special. I've spent several hours some time browsing Brooke's site and have so many things I love! Many people are unaware of this but, every new donor that joins the national registry costs Be the Match approximately $60-70 dollars. This amount covers the initial testing that is conducted so potential donors can be typed and officially added to the registry database. Be the Match counts on donations to cover this cost so that individuals can join the registry, and help save lives, despite their financial situation. Monetary donations allow Be the Match to continue increasing the size of the Nation Registry which, in return, helps save the lives of people like Kate and Will. I encourage all of you to head over to Brooke's site and shop this party! You can add some awesome pieces to your jewelry collect all while supporting such an amazing cause!